On Friday evening and Saturday morning, Neil (our Director) delivered legal training to integration educators, engaged by the University of Malta to deliver cultural orientation classes to migrants and refugees. 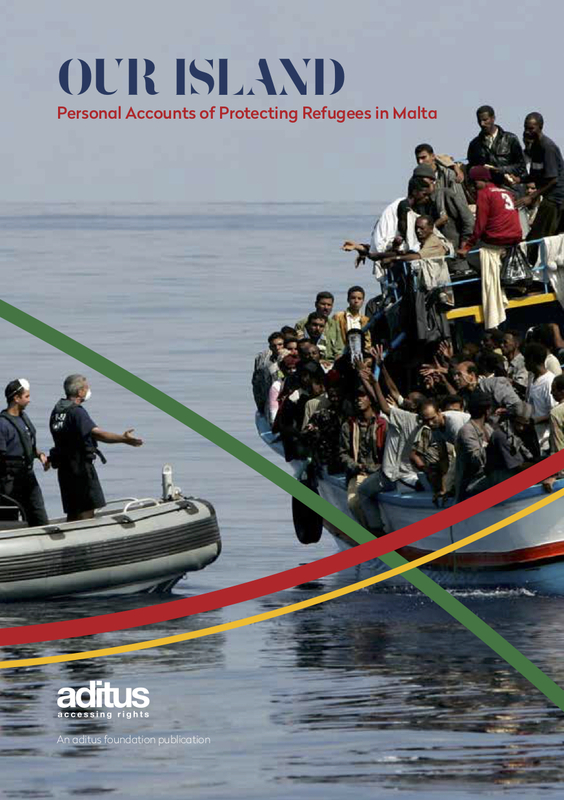 Following Government’s adoption of Integration=Belonging: Migrant Integration Strategy and Action Plan, the Integration Unit within the Ministry for European Affairs and Equality has been making steady progress towards implementation of the country’s integration agenda. In particular, free classes in English and Maltese have already started, as part of Stage 1 of a migrant’s integration path. Stage 1 also includes basic cultural and societal orientation, and a record+assessment of qualifications, trade and work experiences. Throughout the months of March, April and May aditus foundation is delivering human rights training to Malta’s border guards. On invitation of the Malta Police Force, aditus is providing four two-hour long training sessions to groups of Police officers and officials from the Malta Armed Forces, all involved in operations aimed at securing Malta’s borders. During his two hours, Neil (aditus foundation Director) covers human rights definitions and core principles, including notions of derogations and exceptions. Delivered in Maltese, Neil’s sessions are interactive, discussion-based and focused on a practical understanding of the relevance of human rights within a border control context. Specific human rights that are given particular attention include: dignity, effective remedy, good governance, and non-discrimination. The sessions also provide aditus the opportunity to identify and address concerns relating to human rights in Malta, beyond those directly related to migration. Sessions discuss gender equality, good governance, religious freedom, rights versus responsibilities and other themes participants raise in the course of the trainings. aditus’ human rights slots form part of a broader training programme designed by the Malta Police Force, covering updates to EU legislation, international protection, interviewing techniques and other issues. We strongly commend the Force’s initiative, and thank them for including us and other NGOs in their training programme. Cover slide of Neil’s presentation.